According to Italian Newspaper Il Messaggero, Roma defender Mehdi Benatia would prefer a move to Chelsea instead of the two Manchester clubs. The much wanted defender has been linked with a move away from Rome and it now appears that the player could be well on his way to Stamford Bridge. Roma had earlier rejected Bayern Munich’s €33m for the 27 year old who had also expressed that he was flattered by Barcelona’s interest. 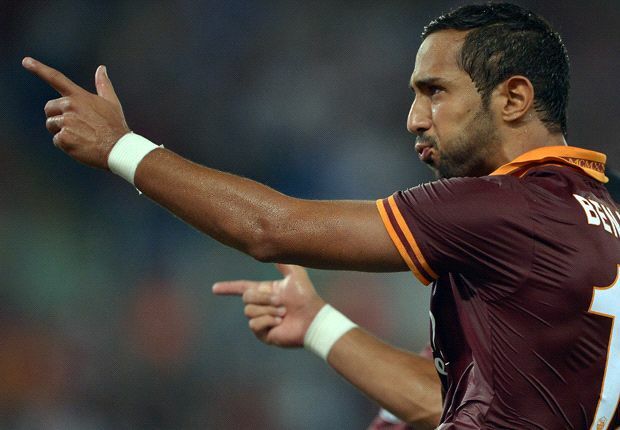 It now appears that Roma are playing hardball as they wish to eke out €40m with the sale of Benatia. The story is a complete change of earlier reports that the player would prefer a move to Premier League Champions Mnachester City. A move to Chelsea would perfectly make sense as the Blues had sold David Luiz to French Ligue 1 champions PSG for £50m . The defender had featured in 33 appearances under Rudi Garcia scoring five goals, as Roma had a stunning season in the Serie A finishing runners up to eventual champions Juventus. Hazard was the same. he apparently had the choice between United, City and Chelsea. He chose Chelsea to live in London. Now, I know footballers aren’t renowned for their IQ’s, but Chelsea have a relatively small stadium, a relatively short history and London is a dump. Who in their right mind would want to live there? If these players are choosing Chelsea then we don’t want them in Manchester as their footballing common sense is obviously non existent and I hope they go on to have very unsuccessful careers and win nothing. Very Sad pathetic fellow u are…. So why then do you go criticizing someone for making (stating actually ) his likes/preference? @Spanish Red, I guess you’re one jealous guy. Mad as f**k that your team ain’t getting the good players. Don’t freak yourself out. Very jealousy,i dnt no why other stupid club fans are allways so jealous of chelsea progress!lol let them go to hell and born to groud peper.